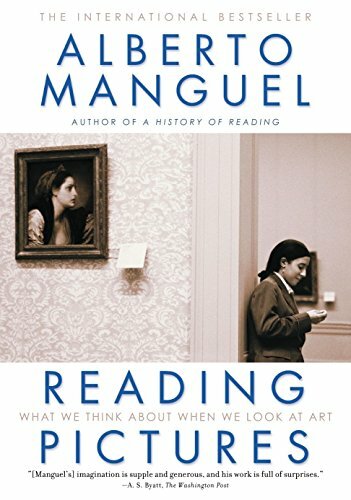 This profoundly illuminating, entertaining book could well change the way we "read" the visual world around us, and certainly help open our eyes and minds to its astonishing riches. The language in which we speak about art has become steadily more abstruse, a jargon that only art critics and con-artists can understand, though for thousands of years this was not the case. Today, we live in a kaleidoscopic new world of images: Is there a vocabulary we can learn in order to read these images? Is there something we can do so as not to remain passive when we flip through an illustrated book, or download images on a screen? Are there ways in which we can "read" the stories within paintings, monuments, buildings and sculptures? We say "every picture tells a story" - but does it? Taking a handful of extraordinary images - photographed, painted, built, sculpted - Alberto Manguel explores how each one attempts to tell a story that we, the viewer, must decipher or invent. A History of Love and Hate is not about art history or theory - it is about the astonishing pleasures and surprises of stories.